Released in early 1985, John Hughes' classic teen movie The Breakfast Club has stood the test of time, inspiring generations and remaining a must-watch in the years since its premiere. Set during a Saturday detention at a suburban Chicago high school, the film tells the story of five radically different kids — "a brain, an athlete, a basket case, a princess, and a criminal" — stuck together for an entire day, forced to settle their differences and find a way to get along despite the fact that they seemingly have nothing in common. As they find common ground and become closer than they ever expected, audiences are along for the ride, identifying with at least one of these kids in their struggles to figure out who they are. 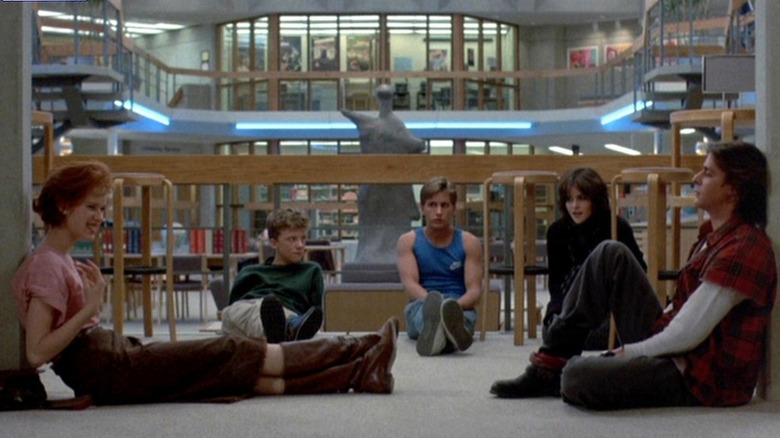 Over the past few decades, The Breakfast Club has remained one of the most famous and influential high school movies of all time, earning a place in the National Film Registry in 2017. It's still regarded as one of the best films of all time and made stars out of its leading cast, who many went on to refer to as "the Brat Pack." From Molly Ringwald to Judd Nelson, here's where all of the stars of this classic film are today. 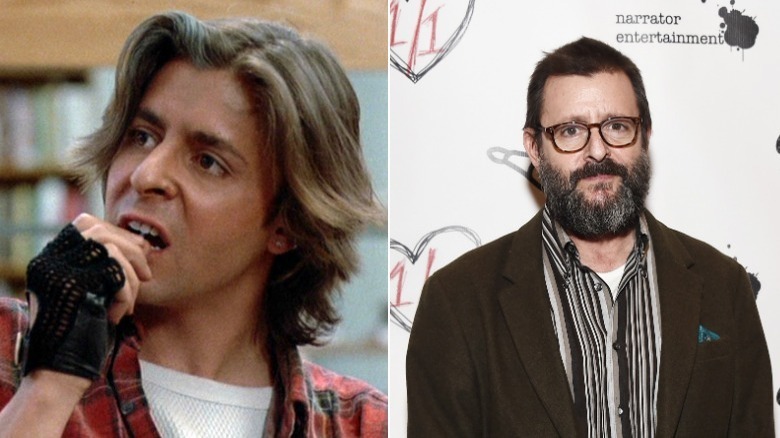 As Bender, the film's resident bad boy, Judd Nelson made a convincing and unexpectedly charming "criminal" who, despite initially antagonizing all of the other students, ends up bonding with each of them (and even strikes up a romance with Claire, the "princess" played by Molly Ringwald). Though he might not endear himself to the audience at first as he is openly cruel and combative with everyone else in the detention, Bender has a real human side, and thanks to Judd Nelson's explosive yet touching performance, he becomes wholly relatable and even likable by the film's end. In the years since, Nelson has appeared in other Brat Pack films, including St. Elmo's Fire, as well as voicing characters in animated films like 1986's Transformers: The Movie (and subsequent Transformers cartoons). Beyond the '80s, he's continued working consistently in films from New Jack City to Billionaire Boys Club. He has also had a few turns on television, including a three-year run on the popular sitcom Suddenly Susan and appearances on the smash hit Empire in 2015. In 2017, he returned to his Transformers roots, voicing several characters in a new animated series. 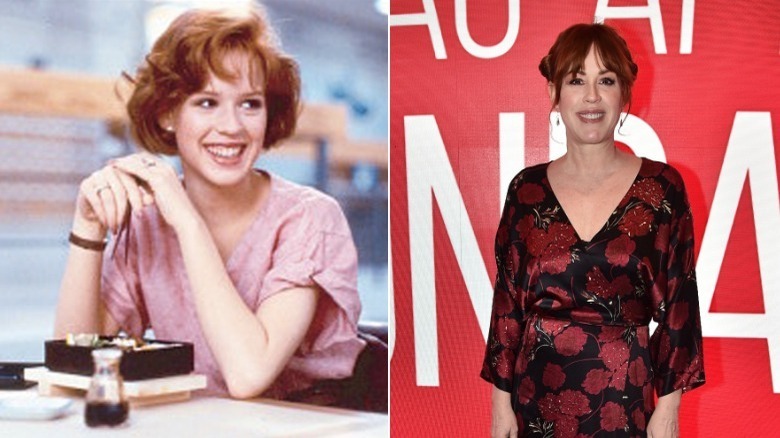 A staple of coming-of-age films during her teenage years, Molly Ringwald became instantly recognizable to John Hughes fans after starring in three of his movies — alongside The Breakfast Club, Ringwald played the lead roles in both Pretty in Pink and Sixteen Candles, serving as Hughes' muse multiple times. As Claire, The Breakfast Club's "princess," Ringwald makes a perfect transition from a snotty, spoiled, popular girl to a relatable, funny kid, letting her reservations fall to the wayside as she remembers how to just relax and have fun. Ringwald had her pick of projects as she matured, reportedly turning down lead roles in Ghost and Pretty Woman in order to spend some time living in Paris and appearing in French films. She also branched out into stagework, starring as Sally Bowles in Cabaret on Broadway from 2001 to 2002, among other high-profile projects, and eventually turned to television, picking up quite a few significant roles. For five years, from 2008 to 2013, she starred as Anne Juergens, the beleaguered yet supportive mother of Amy Juergens (Shailene Woodley), on The Secret Life of the American Teenager, weathering her daughter's pregnancy. Since 2017, she has appeared on the CW's humongous hit Riverdale, a dark take on the Archie comic series, as Mary Andrews, Archie's mother. She also has remained in the public eye personally — despite being best known for John Hughes' films, she has also acknowledged the issues the films present as they age. Part of a Hollywood dynasty, Emilio Estevez is the only famous member of his family to retain his real last name — his father, Ramón Estevez, is better known as Martin Sheen, and his brother, Carlos Estevez, is best known as Charlie Sheen. Estevez played Andrew, "the athlete," who is apprehensive and standoffish at first about his classmates (other than Claire, since they both run in a more popular crowd), eventually opening up about his extraordinarily difficult and strict father, who pushes him to achieve athletic perfection at Andrew's expense. 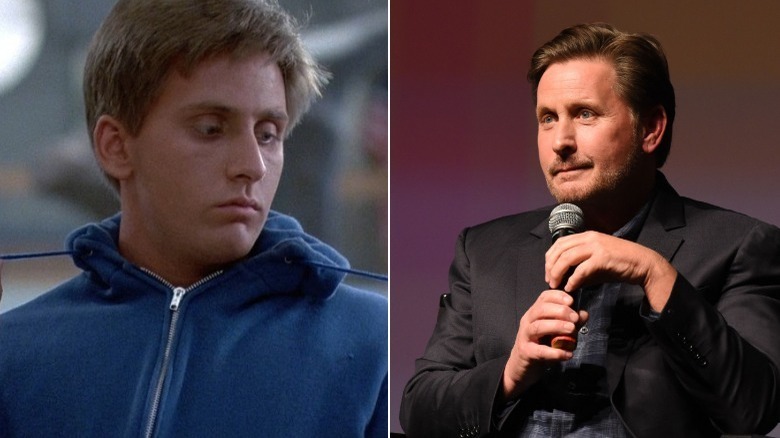 Estevez worked with John Hughes again in St. Elmo's Fire, cementing his status as a Brat Packer, and before The Breakfast Club, he also appeared in cult films like The Outsiders and Repo Man. His post-Brat Pack break eventually came after he scored a coveted role in 1992's The Mighty Ducks, which eventually became a hugely successful franchise. Though he publicly appeared in 2010 to commemorate John Hughes after the director's death, he admitted that his absence from the public eye was due to his inherently shy nature. That doesn't mean Estevez hasn't kept busy in other ways. Ever since his 1986 directorial debut, Wisdom, which made Estevez the youngest person to direct, star in, and write a major motion picture, and he has been directing since. His latest film, The Public (starring Alec Baldwin and Christian Slater, among others), premiered at the Toronto Film Festival in 2018. 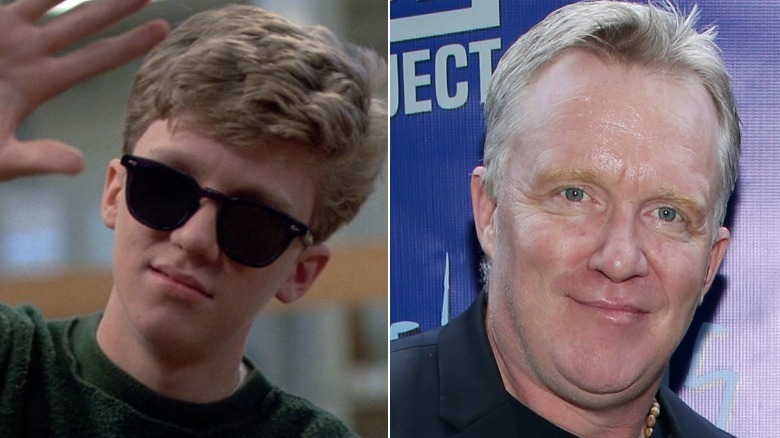 Another frequent Hughes collaborator, Anthony Michael Hall starred in Sixteen Candles before his turn in The Breakfast Club as Brian, "the brain," following that up with another starring role in Weird Science (also a Hughes film). As Brian, Hall brought an earnestness to the film, playing the role of that kid in school desperately seeking acceptance and a place not just in school, but in the world around him. Despite initially enduring taunts and mockery from both Bender and Andrew, Brian opens to up a group of people he now considers his friends, admitting that he once almost killed himself over a bad grade. Eventually, Brian writes the famous note that closes out the film, identifying each student and the stereotypes they have defied. After The Breakfast Club, Hall famously joined the cast of Saturday Night Live, becoming the youngest cast member ever, but was let go at the end of his first and only season. After a string of near-miss castings and failed films, his next commercial success was as the villain in Edward Scissorhands, where he deliberately played against type. He continued to work in television and film in the ensuing years, eventually appearing in blockbuster films like Christopher Nolan's The Dark Knight. Today, he still appears in commercials and various television series, and runs a literacy program for at-risk youth. 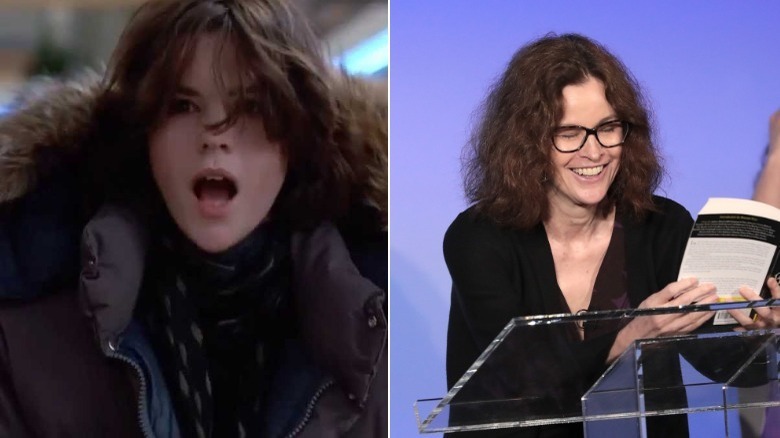 Yet another Brat Pack member, Ally Sheedy followed up her role in The Breakfast Club with one in St. Elmo's Fire alongside several of her co-stars, as well as appearing in other 1980s films like WarGames (with Matthew Broderick) and Maid to Order (with Beverly d'Angelo). As Allison, the film's resident "basket case," Sheedy was moody, strange, and often alarming, rarely speaking and making weird noises or shrieks from time to time. However, she ends up connecting with the other students over the problems they all have with their parents, getting a makeover from Claire, and even kissing Andrew by the film's conclusion. Throughout the 1980s and early '90s, Sheedy struggled with eating disorders and spent time in a treatment facility for an addiction to sleeping pills. Sheedy took this experience and used it to inform her award-winning appearance in Lisa Cholodenko's 1998 film High Art, for which she received an Independent Spirit Award. Sheedy has also been a vocal supporter of transgender rights since her own son's transition. In 2018, her name ended up in the news once again as she named several actors (including James Franco) in a tweet referring to the #MeToo movement. 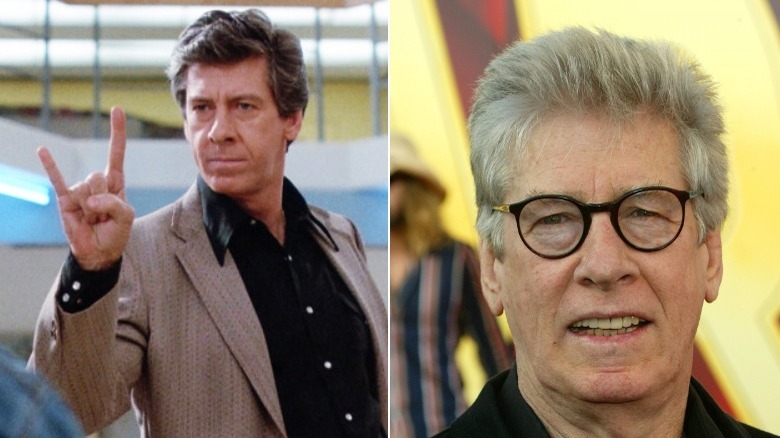 By the time Paul Gleason appeared in The Breakfast Club as Richard Vernon, the long-suffering assistant principal, he was already recognizable to audiences far and wide thanks to his roles in several blockbusters. After 1983's classic comedy Trading Places, where he played the villain opposite Eddie Murphy and and Dan Aykroyd, he scored a role in Die Hard as Dwayne T. Robinson, a deputy police official who's a bit of a braggart. As Vernon, Gleason served as the film's antagonist, assigning a thousand-word essay to each student and periodically checking on them in detention, frequently becoming enraged (especially when it comes to Bender, whom he clearly cannot stand). He went on to parody his famous role in music videos, including "Dancing Queen" by A*Teens (an ABBA tribute band) and other films, like his appearance in Not Another Teen Movie. After a short string of television appearances, including stints on Drake & Josh and Dawson's Creek, Gleason passed away in 2006 at the age of 67 from lung cancer caused by asbestos. 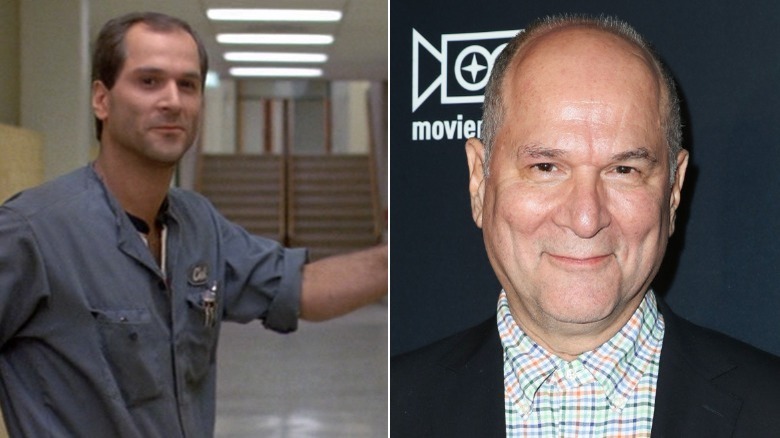 As Carl Reed, the school janitor, veteran actor John Kapelos plays a small but pivotal role in The Breakfast Club, often serving as a voice of reason and liaison between Assistant Principal Vernon and the students in detention. Even as he seems to regard the students with a certain amount of disdain, he also seems to be quite friendly with Brian, and he questions Vernon pulling each student's record (even threatening to blackmail the assistant principal) as well as the essay about who each student thinks they are. Kapelos, meanwhile, has enjoyed a long and illustrious career as a character actor, with almost 200 credits to his name. After studying at Second City in Chicago, Kapelos performed with the famous improv school's touring company as well as its prestigious resident company, and still works with some of his fellow alumnae, including The Simpsons' Dan Castellaneta. Over the years, he has appeared in numerous television projects, including shows like Seinfeld, ER, Modern Family, and Transparent, among others. When it comes to his film career, Kapelos has racked up quite the resume — alongside other John Hughes projects like Weird Science and Sixteen Candles, Kapelos has acted consistently since his collaborations with the director, including a turn in Guillermo del Toro's The Shape of Water, which won the Academy Award for Best Picture in 2018. Despite a brief appearance in the movie, Andrew's father, played by Ron Dean, casts a shadow over the rest of the film. After a stressful afternoon in detention, Andrew admits that his father, Mr. Clark, wants Andrew to be a "winner" by being a top athlete at school, and that he is constantly pushing him to the breaking point to improve, even though this attitude does nothing but hurt Andrew. Since Mr. Clark also attended Shermer High School and was a wild prankster in his youth, Andrew tries to be exactly like him, going so far as to torture another student to impress his father — and unfortunately, that student happens to be Brian, who ends up in detention alongside Andrew. Dean had gotten his start before The Breakfast Club with a few film appearances, including a brief one in Risky Business. In the years since, he's shown up in short arcs on several television shows as well as fleshed out his film career. 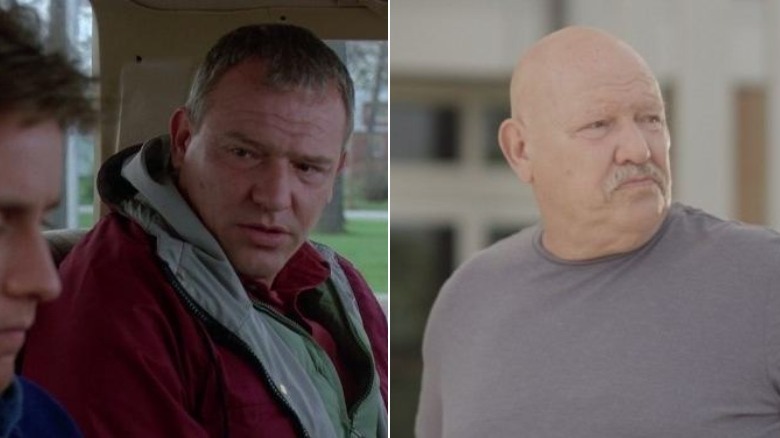 Known for playing law enforcement figures, his most notable role to date was a small one in The Dark Knight, which also reunited Dean with his Breakfast Club co-star, Anthony Michael Hall.